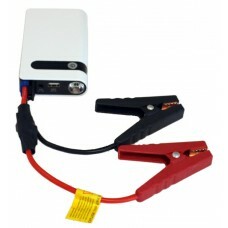 These compact, portable, micro jump start battery packs have the power to jump start your car as well as power plenty of other electronic devices such as cell phones, tablets, laptops, GPS equipment etc. Their small size and high power output is truly impressive. 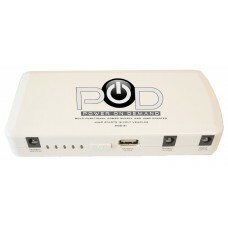 FuseLED Micro-Start POD is the world’s smallest jump starter! So small it will t in your pocket. It weighs less than 14 ounces. 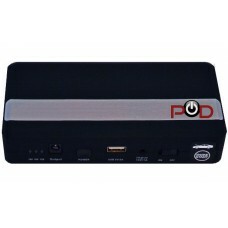 Not only will it jump start any car, truck, motorcycle, or motor sports.. Accessories: •2 Adapter Cables •1 Home Charger •1 Car Charger •8 Cell Phone/tablet connectors •8 Notebook connectors •1 Jumper Cable w/ clamps Specifications: •Size: 6.3 x 3 x 1inch •Weig..
400 normal - 800 peak Jump Start Port for jump starting gasoline & diesel engines.Up to 20 jump starts in one charge for gasoline engines, 5 jump starts for diesel engines.5v USB port for charging: ce..